Can We Stop the Government Borrowing & Just Print Without Inflation? What they fail completely to grasp here is until the system is entirely scrapped and we adopt the way the Roman Empire was funded from 280BC to 68AD, just creating the money to fund the government instead of borrowing it, there is no hope in solving this issue. In a recession, Keynes argued borrowing can be beneficial in creating economic stimulus and shortening the recession. Governments used that statement to then perpetually borrow year after year. It is not so much inflation that is concerning, but what happens when smart money moves to private assets avoiding government? That is how the current governmental financing scheme will collapse and we end up with a monetary crisis beyond all comprehension. 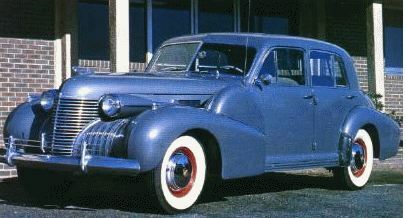 In 1940 a Cadillac sold for $1675. Currently, the low-end Cadillac is $35,000. This is almost 21 times the 1940 price level. The US national debt was $51 billion before the war in 1940 and it is now $20 trillion. The debt has risen 392 x compared to 20.89 x for a Cadillac. The minimum wage in 1940 was 30 cents per hour. Today, the minimum wage is $10.10 per hour in 2018, which is a rise of 33.6 x. 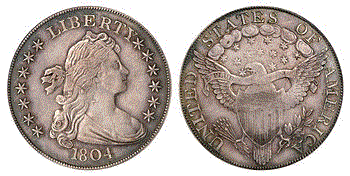 However, if we look at collectibles, the famous 1804 silver dollar sold for $30,000 around 1940. In 1999, one sold for $4.14 million. Here we had an advance of 138 x. 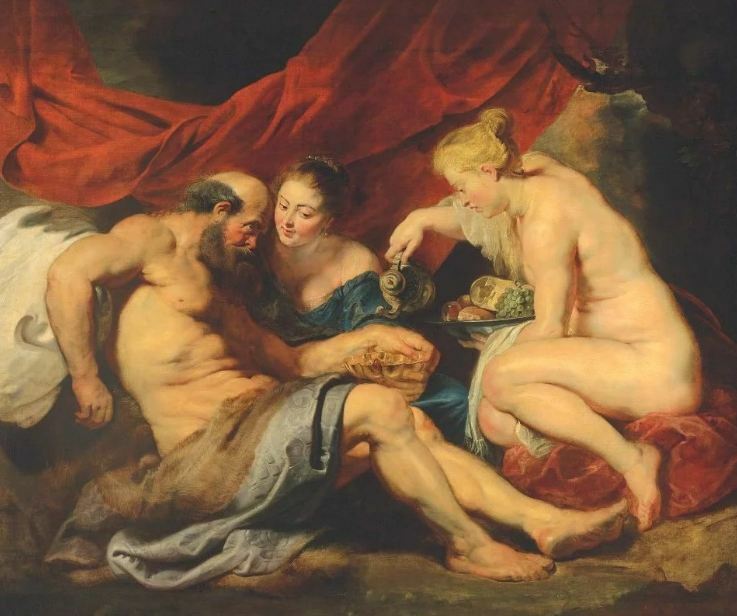 Then there was the Peter Paul Rubens which just sold for $58 million in 2016. The owners had tried to sell it during the Great Depression. Nobody was interested. They then lent it to a monastery where it hung in a hallway for 20 years. Other than that exception, nothing has advanced in proportion to the national debt. Therefore, the idea that increasing the money supply will automatically result in a proportional amount of inflation cannot be proven by any means of a statistical study. It is a nice theory, but it has never been proven to work. This is why those who claim gold is being manipulated or it would be $10,000 based upon proportional analysis is just bogus. But it is also bogus that governments can stimulate the economy as well. Hence, 10 years nearly of ECB quantitative easing failed to reverse the deflation. There is a lot more to this complex mix than meets the eye. The debt is actually where money parks and thus it is reducing economic growth otherwise that wealth would be investing in the economy and you would see greater price advances. If we had simply created the money instead of borrowing it, the national debt would be less than 50% of what it is today. At times, 70% is accumulative interest expenditures. The government borrowing competes with the private sector reducing economic growth and creating a bid for money that raises interest rates for the average person. 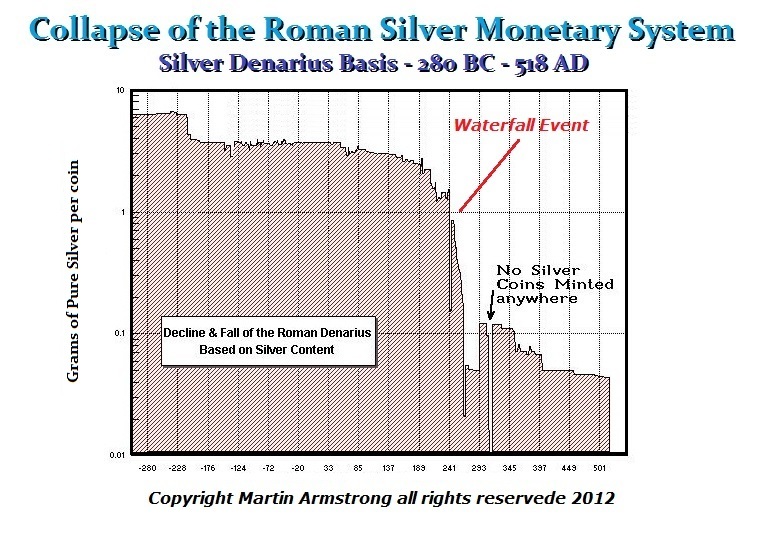 Inflation did not go crazy in Rome until about 250AD onward. Once the people begin to lose confidence in the economic system, that is when things go exponential. The theory that it is less inflationary to borrow than to create meant something when government debt was not collateral for loans. You could not borrow against TBills or bonds before 1971. Ever since, once government debt could be used for collateral to borrow against, borrowing became more inflationary than printing because we then have to pay interest to keep it rolling when we have no intention of paying it off. 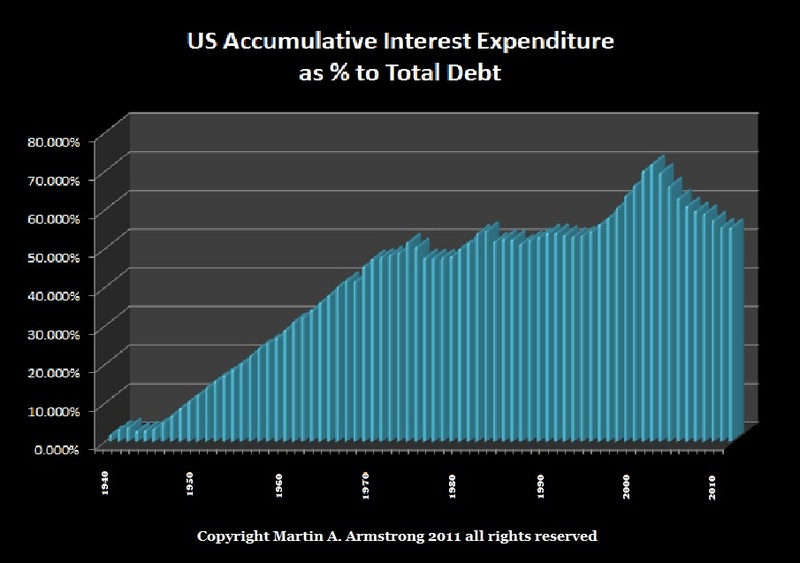 The entire system will go crazy and as interest rates rise, the debt will explode. As central banks raise interest rates, a new phase of inflation will emerge. Some will blame Trump’s tax cuts. But this is all about the interest expenditures will begin to crowd out all other areas of spending. Debt today is simply money that pays interest.